The yellow wind sock briefly appeared and disappeared from view high on the brushy hillside above us as I lay against the warm rubber of the raft, drifting downstream and remembering. It marked a simple gravel airstrip alongside the middle fork of Idaho’s Salmon River and I was remembering the last time I was in this place, over a half century earlier. The Aeronca Sedan at Mahoney Creek, 1958. 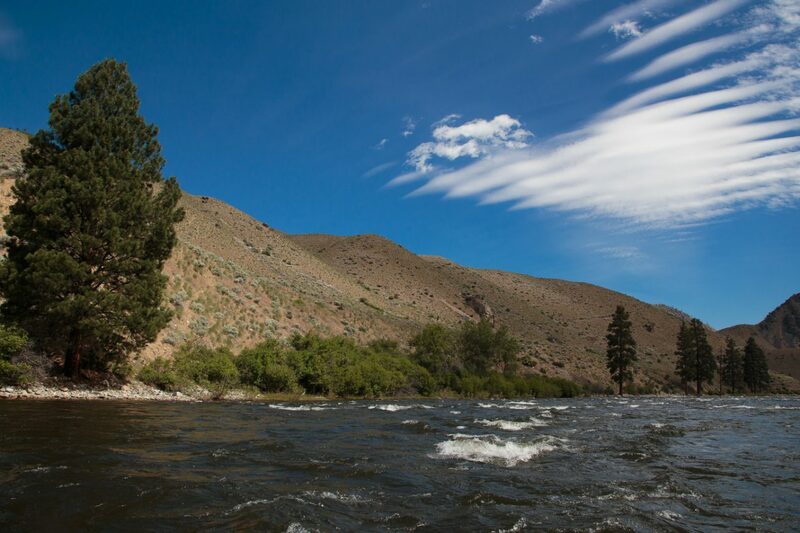 Mahoney Creek is deep in Idaho’s “primitive area,” still accessible only by air. 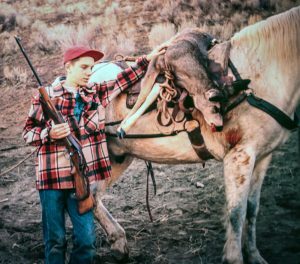 The deer hunting is magnificent and my father had taken me there when I was twelve years old. Flying in the Salmon River canyons is not for novice pilots, which my father was, so his friend John Horst took us in with his Aeronca Sedan in the fall of 1958. 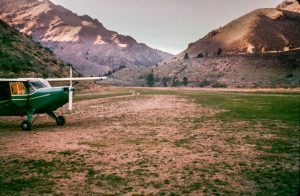 We left Boise before dawn in order to arrive at first light where the creek spills into the Middle Fork and a short airstrip fills a flat spot 400 feet above the river. Carrying the first day’s deer back to camp. Dad had given me a surplus Norwegian army Krag which I carried as we ranged the hills above the packer’s camp where we spent our nights. We bagged two skittish bucks the first day but I knew it was a round from Dad’s Remington, not my Krag, that hit the bouncing deer. The second day we climbed further into the mountains where the deer were less spooked, giving a twelve year old a better chance. Dad didn’t carry a gun. I dropped the slow moving doe with a single shot. 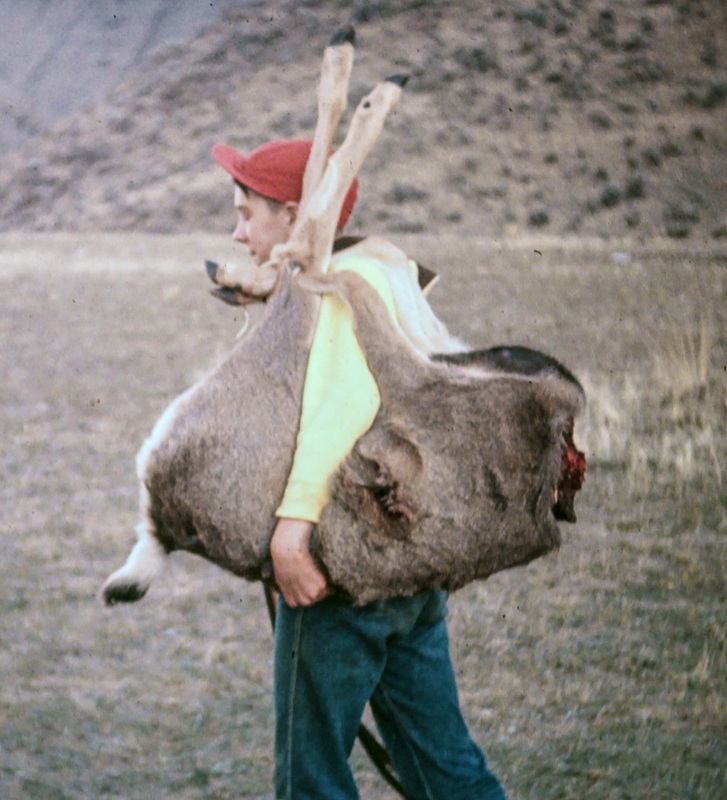 Because carrying the previous day’s deer two miles back to camp had taken so much out of me, Dad had arranged for a horse to carry this one the three miles back through rough country. We flew home the next day. Me with my Krag and my first (and only) deer. Fifty-eight years later, drifting by on the river below, I marveled at how thoroughly those three days had soaked into my memory. The frosty mornings, the smell of the horses, even the taste of the packer’s hotcakes were all there. But now I remembered more things—things I didn’t realize then—that this trip could not have been easy for my father, who earned $100/week repairing watches for a jewelry store. Only after we mature do we realize what our parents sacrificed to create our childhood paradise without responsibilities. And I wonder if my father ever knew what an impression he had made on me, or how much I appreciated it. Probably not right away at least—my sassy teenage years were then just ahead and as far as I recall I never told him later. One more regret to add to the basket I already carry. Wow, really nice, Alan! Thanks so much for sharing!